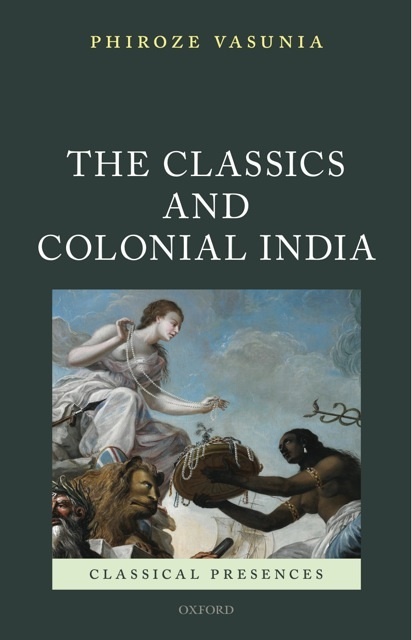 In the sixth interview recorded during this year’s Classical Association meeting, CC’s Anastasia Bakogianni talks to Professor Phiroze Vasunia of the University of Reading about his recently published book The Classics and Colonial India (OUP, May 2013). He tells us about the impact of the Graeco-Roman classics in the age of empire (1750s-1945) and about the collision of cultures in India during this period. The very concept of the ‘classical’ was problematic in a culture with its own long-standing local traditions which included Sanskrit, Persian and Arab threads. These competed with the imported Graeco-Roman classics privileged by the British educational system which encouraged the colonisers to view themselves as ancient Romans. Neoclassical architecture, now largely destroyed, also radically transformed the landscape of the country. Indians such as the writer Henry Louis Vivian Derozio (1809-31) and Mahatma Gandhi, however, opened up their own dialogue with ancient Greek culture and its literature. Inspired by British Romantic Philhellenism, Derozio’s poetry forged a passionate connection with both ancient and modern Greece, while Gandi’s admiration of Socrates informed his own political thinking. This is not, therefore, a simple story of empire, but one of a dialogue of traditions. Phiroze also tells us about his work as the general editor of the Ancients and Moderns series which is published in the UK by I.B. Tauris and in the USA by OUP. The series explores how classical antiquity continues to inform modern thinking, and examines the encounter between ancients and moderns on topics such as gender, slavery and politics. Seven books have appeared to date, and more are forthcoming.